Team Golmaal Again appeared on the sets of the show, The Great Indian Laughter Challenge for promotions in Mumbai on October 11, 2017. 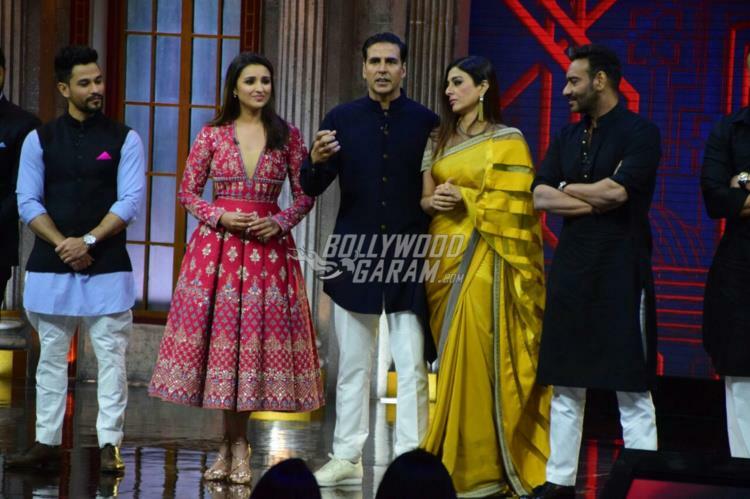 Ajay Devgn, Parineeti Chopra, Arshad Warsi, Tusshar Kapoor, Tabu, Shreyas Talpade and Kunal Kemmu landed on Akshay Kumar’s show The Great Indian Laughter Challenge. The pictures show that the entire team of the film had a great time interacting with Akshay Kumar. 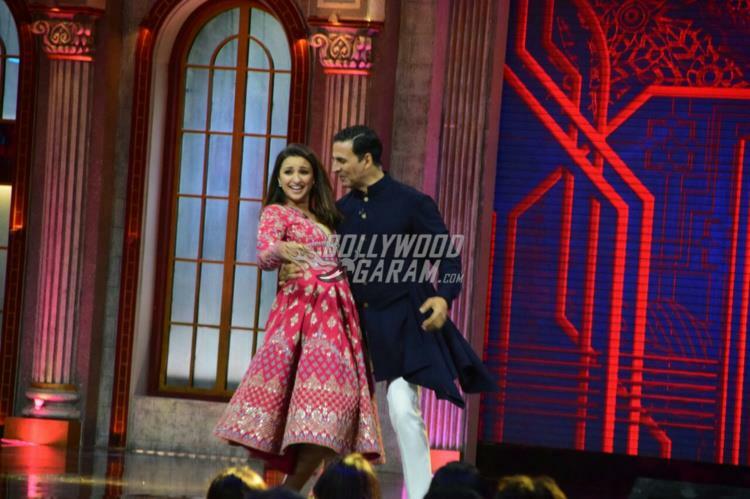 Parineeti was seen shaking a leg with Akshay on some of his popular songs. The actress looked pretty in a red Indian outfit while Tabu looked pretty in a yellow sari. Ajay looked dapper in a black kurta and white pyjama while Rohit Shetty twined with Ajay in a black kurta and white pyjama. Shreyas opted for a formal suit while Kunal looked splendid in a blue short kurta, Nehru coat and white pyjama. The Golmaal Again is the fourth installment in the Golmaal franchise and is ready to be released in theatres on October 20, 2017. Exclusive photos of Golmaal Again team’s promotions at Akshay Kumar’s new TV show!